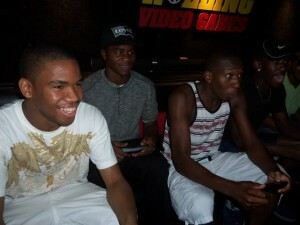 Chicago’s BEST Mobile Video Game Truck Party comes to you! 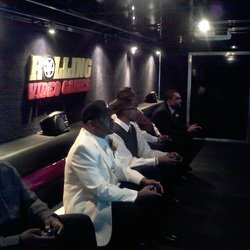 Rolling Video Games of Chicagoland! Fully self-powered and it comes right to you! 16 can play at one time inside! Weather permitting, up to 24 can play at once! Games for every age, style and taste! While you RELAX and your home stays CLEAN! Looking for a new way to a host a party? Need something that’s fun for the whole group or family? No need to lift a finger! 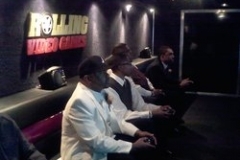 Rolling Video Games of Chicagoland brings the ultimate party experience to you! 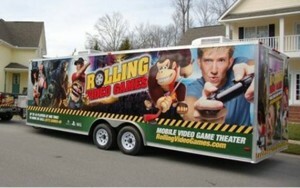 Our mobile video game truck and trailer comes right to you! 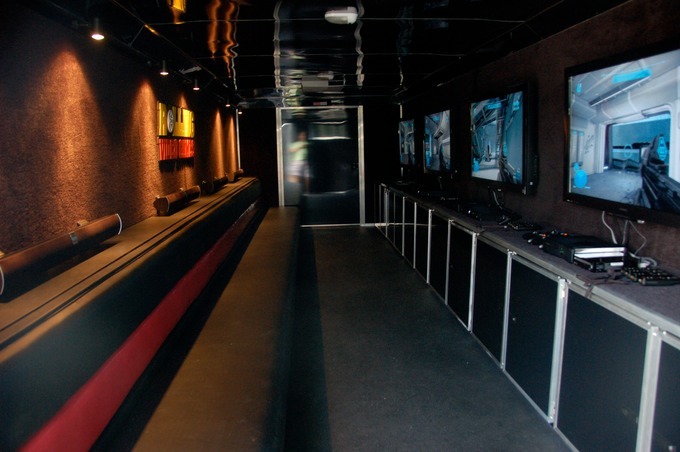 This spacious, state of the art mobile video game truck features stadium-style seating, full climate control for year-round comfort, and we’re self-powered by our own quiet generator! 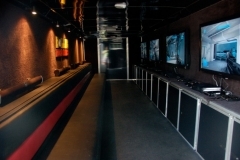 Enjoy the widescreen high – definition TVs, surround sound, and a one- of- a-kind multiplayer gaming system. Up to 24 guests can game at the same time! 16 can game at once inside with room for even more friends on the second row of stadium seating, and our two outside gaming stations can accommodate another 8 gamers! 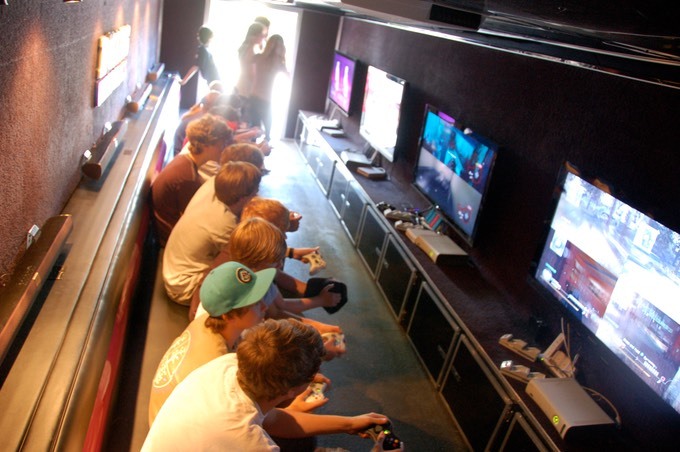 We have all of the latest game titles and Gaming Consoles from Xbox One, Xbox 360, PlayStation 4, Wii and Wii U! Sit, back, relax and enjoy the party! Your Game Coach and staff will make sure your guests enjoy an experience of a lifetime. 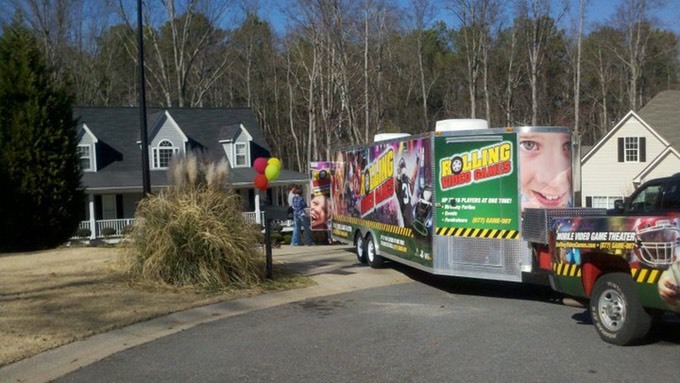 Whether you’re looking for party ideas for kids, teens, young adults, adults, bachelor parties, corporate or church and school events, book with us now! You’ll be glad you did! We serve Chicagoland and surrounding suburbs. See our Service Area page for complete coverage area. We welcome Xbox Fortnite to our gaming selections. 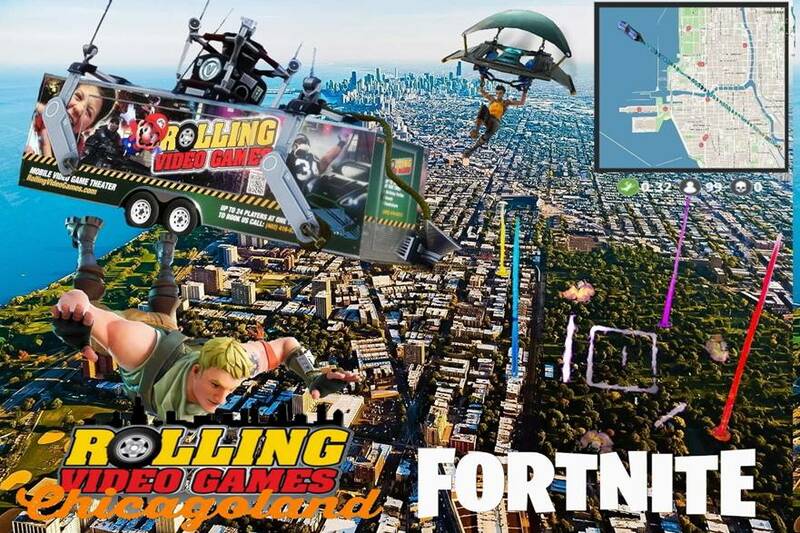 Fortnite is an online action building game developed by Epic Games. This is a cooperative shooter-survival game where a player teams up with other players to battle against other players where the last player or group standing is awarded Victory Royale. In Fortnite you must harvest materials, scavenge for weapons, build to defend, attack opponents, and survive the storm. When starting out in Fortnite, all players begin with a pickaxe. From there the fun begins by obtaining additional weapons and building strategically. All Fortnite games are unique. Be sure to learn new strategies for you next game and avoid the mist. Please note that high-speed internet must be provided by client (wireless signal or within 200 feet of modem/router for cable connection.) An additional surcharge will apply. Now through August 31, 2019! Get the 2-hour party for the 1-hour party price! Wednesday Special April through August! Book any 2 hour party on a Wednesday (after 3pm) through August 31, 2019 and get the 1-hour price! 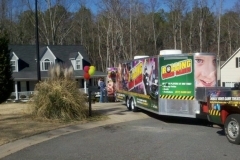 Save $50.00 on your party!